How well did you find your way around 1935 Chicago? One clue is the wide street. Another is the Goldblatt&apos;s department store on the southwest corner of the intersection. 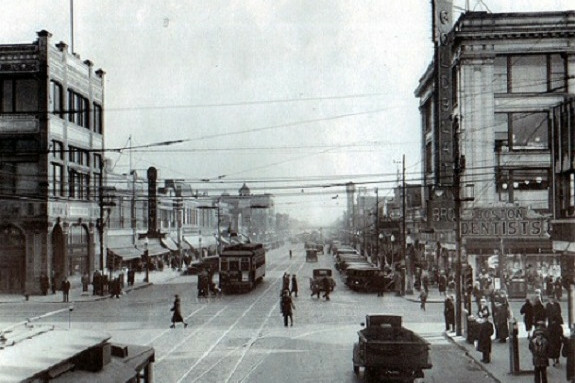 At the time of the older photo, Ashland and 47th was one of the larger outlying shopping districts in the city. The Chicago Stock Yards were only a few blocks away, so this was truly "Back of the Yards."